Owing to our years of experience and in-depth industry knowledge, we are able to manufacture and supply Falling Film Evaporator. Demanded by cosmetics, chemical, food & beverage and rubber industries, these evaporators are thoroughly tested by expert quality controllers on certain well-defined parameters to remove defects, if any. 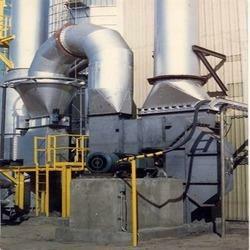 Additionally, we provide customization facility for our evaporators as per the specifications laid down by customers. 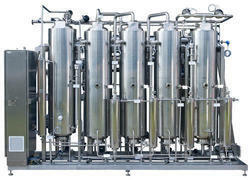 We are among the preeminent organizations, involved in manufacturing and supplying Forced Circulation Evaporator. 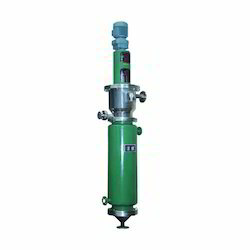 Widely demanded by industries across the nationwide market, these evaporators are provided to patrons in several models and specifications as well as can be customized as per clients’ needs. Further, we stringently check all the evaporators on several parameters to ensure zero defect. 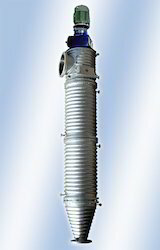 Since our inception, we have been successfully manufacturing and supplying Agitated Thin Film Evaporator. Used in different industries, these evaporators are designed and fabricated under the strict supervision of professionals, who have years of experience in this domain. Furthermore, our quality controllers check all the finished products on various parameters, before delivery. 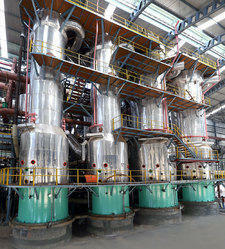 We are engaged in manufacturing and supplying high quality Rising Film Evaporator. Designed at par with international quality standards, all our evaporators are manufactured using high-grade material and quality components that are procured from the authorized vendors. Also, these evaporators are checked by expert quality controllers to determine flawlessness as well as we provide tailor-made solution for these products. 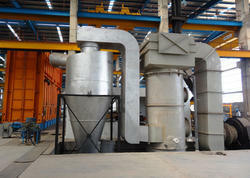 Multiple Effect Evaporator (MEE) offeredis backed by latest technology support and provides working in form of concentrating solutions with support of heat sensitive components. Finding suitability for use in areas like fruit juices, dairy products, starch, acid and others, the equipment comes with support of evaporators, separators, condenser, sterilizer, vacuum and drainage system, operation platform, electric meter control cabinet and others. 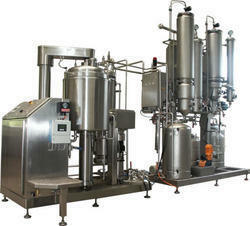 Some of its features include low evaporation consumption, low evaporation temperature, large concentration ratio with falling film type evaporation, hard to agglomerate with short concentration time, provides support for automatic production equipment in conformity with GMP standards among others. Scraped Film Evaporator offered is backed by latest technology support and comprises thin-film evaporator that comes with support of associated equipment support like heat exchanger, collecting tank, piping & framework among other so as to deliver efficient performance. Providing for optimum distribution and blending of liquid to form thin-film, here the presence of high-speed centrifugal scraper assures of consistent performance results. Some of its features include providing for gentle distillation support under vacuum state, allowing evaporation at lower temperature, has short flow time, is easy to operate among others. To serve the requisite demands of our clients, we are engaged in providing a qualitative range of Scrap Surface Heat Ex-changer.